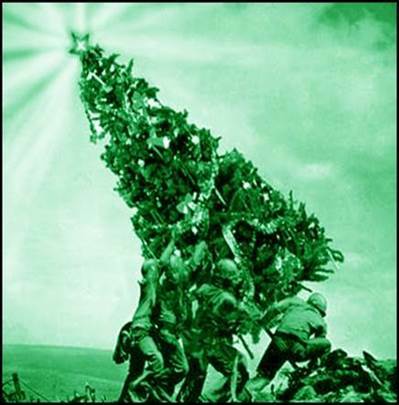 The secret of what was "nailed to the tree" releases the knowledge of the Truth. It has been this misunderstanding that has kept everyone under the control of the enemy so they will never repent of sin. When this is widely understood, the dragon's mind-control ends. GOOD SEED, OR WEED SEED? It is called a “certificate of debt” at Kolossians 2. Debt is sin. Cheirographon is Greek, literally meaning "handwriting." 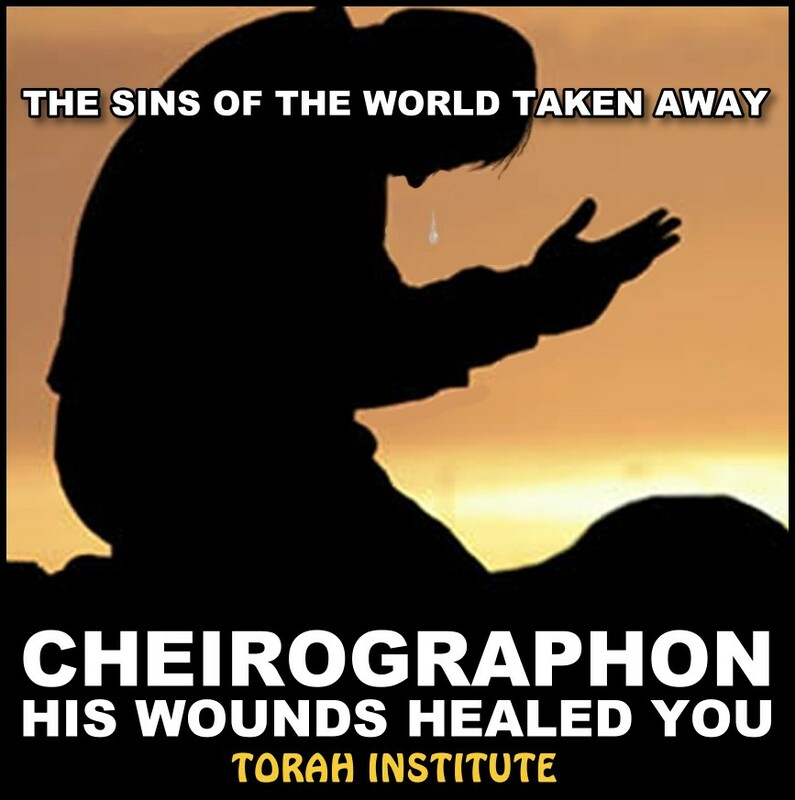 The cheirographon is a legal term cited at Kolossians 2:14 - is a list of accusations/crimes against a defendant. It’s a list of our sins, also referred to at Kolossians 2 as the CERTIFICATE OF DEBT. It was taken away (blotted-out) and nailed to the tree, because the cheirographon is the list of our SINS (accusations). They were atoned for through the veil of Yahusha's flesh which was nailed to the tree, covered by the blood of the Lamb of Yahuah. He became sin, the list of our crimes, the accusations, fell on Him instead of us. The Torah (what defines crime against love), the Ten Commandments, were not taken away or blotted-out. The Commandments were not nailed to the tree, Yahusha was nailed there, having become sin for us all. 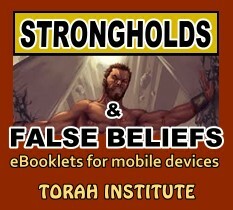 Pastors are taught the Torah was blotted-out; but it’s eternal. Torah does not make us criminals, our sins against it do that. People confuse our justification with our obedience. These two things are related, yet completely separate things. We obey because Yahusha lives in us, and has shared His love for the Truth with us. It's no longer we who live, but Yahusha lives in us. The world hates us because it hates Him. Our obedience is His fruit, the evidence we belong to Him, and it is not what has delivered us. His blood did that. The whole explanation is laid out for us at Hebrews 10:17-26. These verses detail our justification, and how we are no longer to continue to sin. Anyone who willfully continues to sin after receiving atonement insults the Ruach of kindness by their behavior. We are delivered from our crimes against His Covenant by Yahusha's shed blood (Acts 20:28), and we are now saved by His life (Romans 5:10). His death, without His resurrection and ascension, would make your statement quite true. 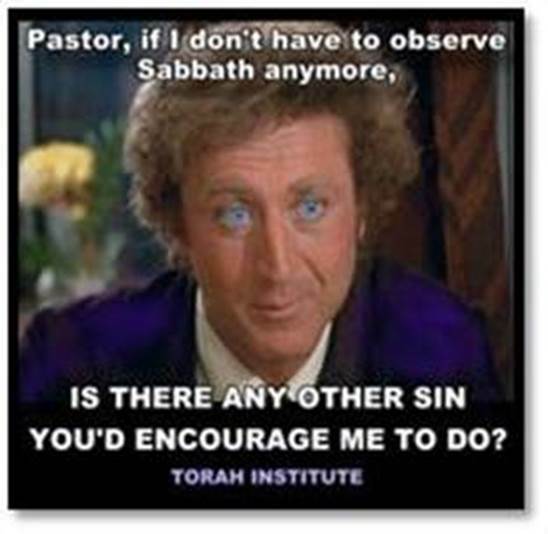 Now that we have received His life in us, He brings us the ability to perceive how sinning against the Torah makes Him feel, and we do not want to sin. Until we receive Him, we cannot obey, nor do we want to obey (Romans 8:7). The mind of the flesh will not submit to Yahuah's Torah. Our obedience must not be confused with our justification however. The "law" Paul speaks of often refers to sacrifices under the old priesthood. This is the commonly misunderstood concept in Paul's writings, such as Galatians. Which of the Commandments that teach us how to love do you suppose is impossible for us to obey, or is even difficult to obey, once a person has Yahusha and knows it trains us how to love one another? Each Commandment teaches us how to love. 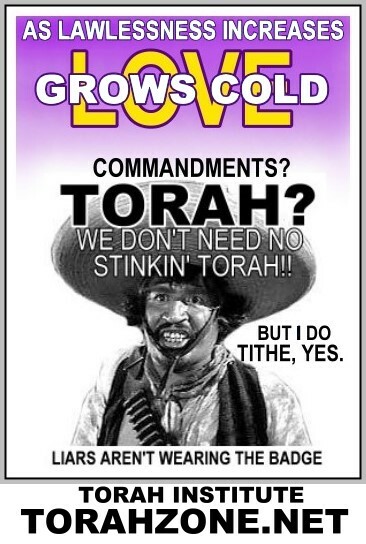 Anyone who annuls the least of these Commandments, and teaches men so, will be the least in the reign of Yahuah. 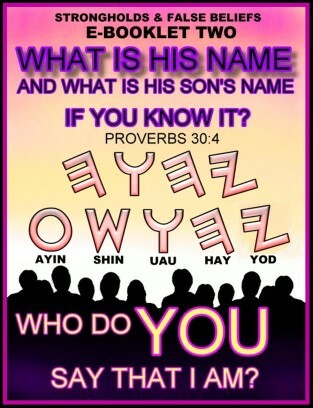 Whoever guards and teaches them will be the greatest in the reign of Yahuah (Mt. 5:19). “ . . . having blotted-out the certificate of debt against us – by the dogmas – which stood against us. And He has taken it out of the way, having nailed it to the stake. [This certificate of debt is the cheirographon, meaning a hand-written list of accusations. 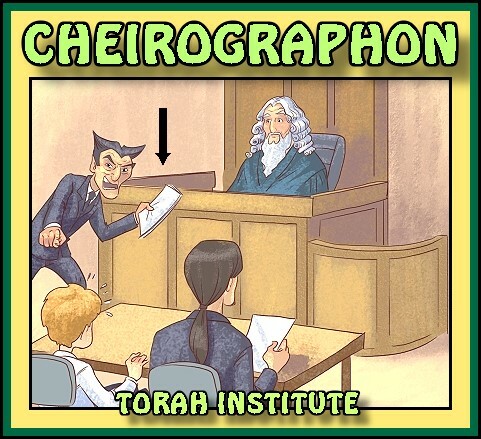 Cheirographon is a legal term, as used by a court prosecutor to list transgressions against an accused person. It literally means “hand-writing”]. Having stripped the principalities and the authorities*, He made a public display of them, having prevailed over them in it. *authorities: the teaching authorities that teach delusions, errors, and futility. These were given their great authority by the dragon, leading the whole world astray. If such things as kosher foods, festivals, new moons, or Shabaths are “shadows” or outlines of what is to come*, how could they possibly be blotted-out or irrelevant? *what is to come: they are prophetic symbols of our redemption. Note the “it” in the text as you re-read it slowly. 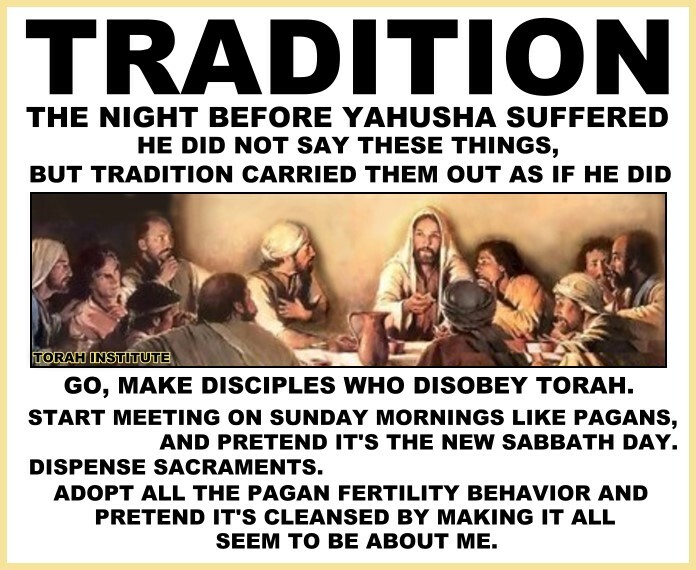 The Torah is not a list of our crimes, and no one could ever accuse us of a crime for obeying Torah, except the circus fathers, who were not servants of Yahusha. They were servants of another; our enemy. Each Commandment teaches us how to love. You cannot find one that is difficult, and they are our "yoke." Yahusha's yoke (teachings, instructions, Torah) is light. A yoke is a body of teachings, and Yahusha is our only teaching Authority. Abiding in the Word of Yahuah (Ten Commandments), we possess the Truth, and produce the fruit Yahuah is looking for. He sent His Word forth to accomplish the behavior produced by the good seed, not the tares. The weeds (false teachings) try to choke the good seed. Love, joy, peace, patience, kindness, goodness, gentleness, faithfulness, and self-control are the fruits of the Spirit of Yahusha, against which there is no TEACHING. Yahusha became sin for us; He therefore cleansed the list of our crimes through His blood, and the prosecutor/accuser is holding a blank scroll, for those who have repented and been immersed in the Name of Yahusha for the forgiveness of their crimes. 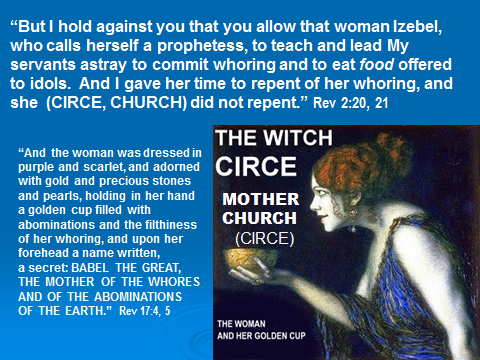 If this is heretical, it is only heretical to those who hold to human commands and teachings, like those of the Didascalia (literally meaning teaching authority, that of the circus fathers). Such teaching authorities of men war against the teachings of Yahusha. The error of the Alexandrian Cult is how they interpreted and allegorized the writings of Paul. The list of our crimes were blotted-out by the blood of the Lamb, He didn't blot-out the Commandments. We can understand food either lawlessly or legally as well. At Romans 14 Paul is discussing the man-made tradition of fasting twice a week; he was not discussing Shabaths. Paul was saying if they fast, fine. If they don't fast, fine. We don't condemn them either way. What is food? Clams, oysters, shrimp, lobster, pigs, and squirrels? Food is that which is set-apart by the Word of Yahuah to be our food. Roaches, cats, dogs, pink slime, green mold, and monkeys aren’t food. The certificate of debt described at Kolossians 2 is the “cheirographon,” meaning a hand-written list of accusations. It is a legal term, as used by a court prosecutor to list transgressions against an accused person. It literally means “hand-writing." This is "handwriting that was against us," and was blotted-out, because it is a list of our CRIMES. Pastors are taught the Commandments are "against us" and they have been blotted-out, but this is a doctrine of demons. Our crimes (sins) have been blotted-out, not the Commandments that teach us how to love. They are altogether righteous and good. against which there is no law [or teaching]. We should take issue with bad translations and teachings, testing the teaching authorities leading us into disobedience. The word "judge" is a fine word, but if understood lawlessly it can be ammunition to disobey. The word KRINO can also be translated "criminalize." "See to it that no one makes a prey of you through philosophy and empty deceit, according to the tradition of men, according to the elementary things of the world, and not according to Mashiak. Because in Him dwells all the Fullness of Yahuah bodily, and you have been made complete in Him, Who is the Head of all principality and authority. In Him you were also circumcised with a circumcision not made with hands, in the putting off of the body of the sins of the flesh, by the circumcision of Mashiak; having been buried with Him in immersion, in which you also were raised with Him through the belief in the working of Yahuah, who raised Him from the dead. And you, being dead in your trespasses and the uncircumcision of your flesh, He has made alive together with Him, having forgiven you all trespasses, having blotted-out the certificate of debt against us – by the dogmas – which stood against us. And He has taken it out of the way, having nailed it to the stake. Having stripped the principalities and the authorities, He made a public display of them, having prevailed over them in it. Let no one therefore judge (CRIMINALIZE) you in eating or in drinking, or in respect of a festival or a new moon or Shabaths – which are a shadow of what is to come for the Body of the Mashiak." Our debts are blotted-out, not the Commandments. Gnosticism from the Far East invaded the Levant beginning around the 2 century BCE. Men made up their own self-imposed worship. The circus fathers avoided every single thing Yahuah told us to do, and embraced every single thing He ordered us not to do. Revelation 12 & 14 tell us the first-fruits are those who obey the Commandments of Alahim, and hold to the testimony of Yahusha. 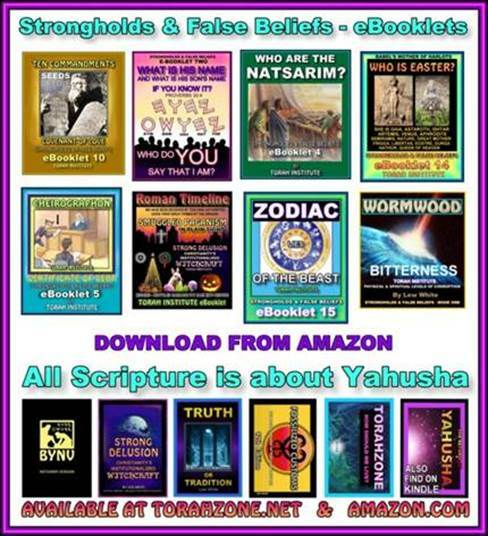 Are any of the Christianities obeying the Commandments of Yahuah? They don't teach them, and speak of them as if they are our curse. The Commandments are a gift of love, and are the Eternal Covenant of kindness (kasid, today called grace). 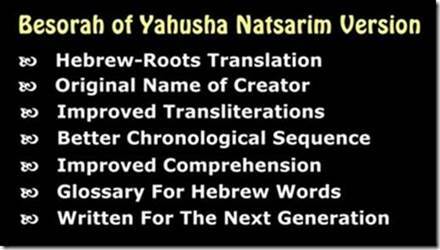 The Ten Words teach love, and will accomplish the purpose for which Yahuah sent them forth into the world (YashaYahu / Is. 55:11). "Who shall separate us from the love of the Mashiak? Shall pressure, or distress, or persecution, or scarcity of food, or nakedness, or danger, or sword? But in all this we are more than over-comers through Him who loved us. For I am persuaded that neither death nor life, nor messengers nor principalities nor powers, neither the present nor the future, nor height nor depth, nor any other creature, shall be able to separate us from the love of Alahim which is in Mashiak Yahusha our Master." Romans 8:35-39. When they come and say, "look out for the four blood moons!"
. . . or whatever scary event they foretell, go to Malaki 4:1-6. 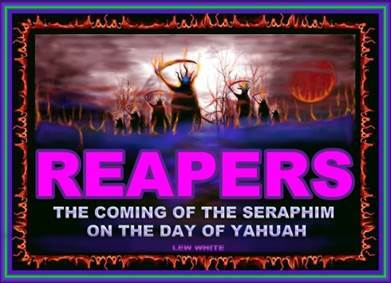 Our preparation for the Reign of Yahusha is to remember the Torah of Mosheh, and repent - for the reign of Yahuah draws near. In the end, there are two plants growing in the world: wheat and tares. Discover which teaching authority you've been listening to. Many of you have endured mental or physical trauma, or both. After 42 years of marriage, my wife developed breast cancer a second time. Both of her breasts were gone, leaving large irregular scars across her entire chest. One morning as she rose for the day, she told me she felt like the ugly scars on her chest (where her two breasts used to be) made her look gruesome. She would never again be the same beautiful woman physically, and in her eyes she felt like she was brutally mauled and ugly. That was her perspective, but mine was quite the opposite! I told her what those scars she bears look and feel like to me. They are wounds that show me how much she loves me. The trauma of surgery, and the lingering pain of chemo-therapy she went through for almost two years was not for her, but for me. She endured it so she could continue to live, and help me. When she learned she had stage-4 cancer and four huge tumors, she was fully prepared to die. At first she didn’t want to undergo the treatments because we both felt they may not be successful, and her suffering would only be prolonged. But, Yahusha visited her and told her to go ahead with them. When I see her body with those huge scars, they show me how much she loves me, and are far from ugly. Her scars are beautiful in my eyes. It’s going to be the same for us when we can kiss Yahusha’s wounds, and thank Him in person for His love. The Natsarim have never recognized any teaching authority but one: Yahusha. The Sanhedrin asked Yahusha what teaching authority He was under [Mt. 21:23]. Yahusha’s bride knows they are His bride. They guard His Name and His Word. The flashing sword of love (His Word) is in our hearts. Seeing or hearing things that aren't there (hallucinations). Believing in holy water or sacraments – things that aren’t there – is a psychosis. “hoc est corpus meum”, you live with a psychosis. Amazon Kindle BYNV: review the text without purchasing it. Do you know the rest of them? 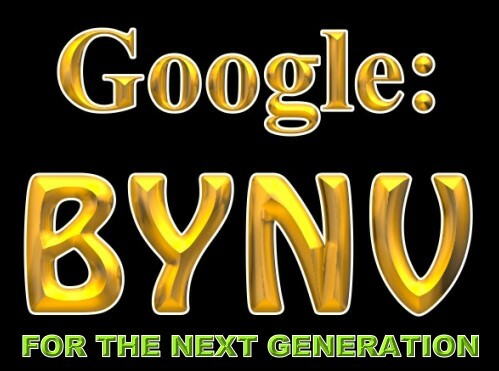 A new translation of Genesis through Revelation for the next generation: the BYNV. 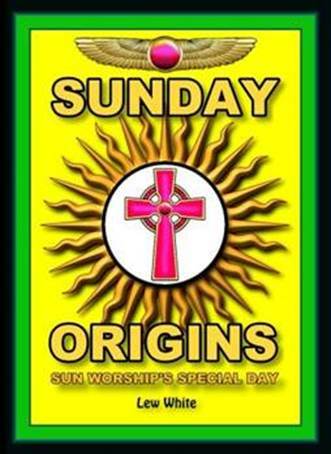 It pursues the original Hebrew Roots of the faith. The personal Name of the Creator is shown in the original Hebrew script, as He inscribed it in the tablets of stone with His finger. The reader sees other original Hebrew words “transliterated” as they were pronounced by the men that wrote them down for us. A person interested in learning and understanding Hebrew will find over 30 original words used throughout this fresh translation. The context of the words will sufficiently allow a person to understand the meaning of them, and a glossary is included in the back for more detail. 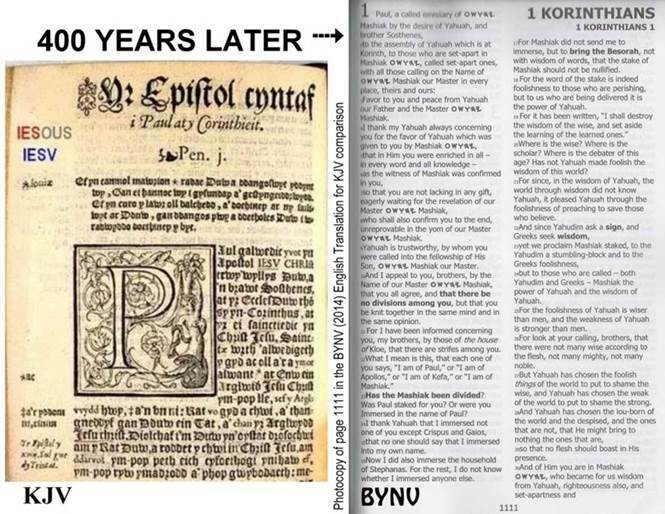 See a photo of a page in the KJV and BYNV side-by-side below. Seminary students (as well as new followers, or even children) will be able to overcome the language barriers as they study the source document of their faith. The prophets’ names are transliterated, and defined. 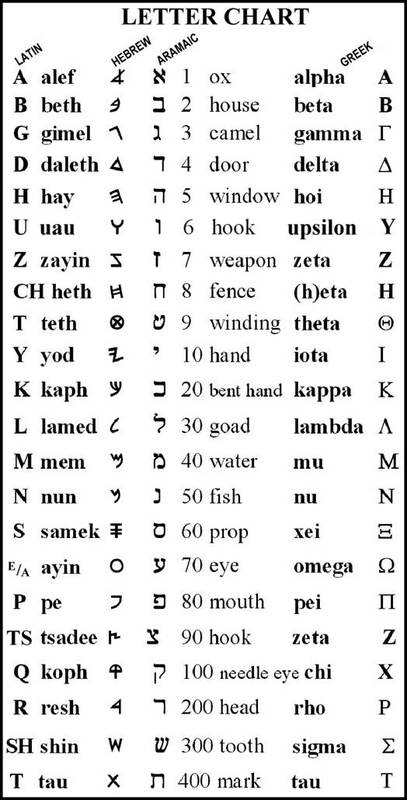 They are not brought through Greek and Latin translations, but directly from Hebrew into English. Instead of the word “firmament”, the proper word “space” is employed. 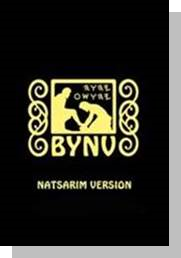 To look over the text of the BYNV online, visit the Kindle site at Amazon and click “Look Inside”. “Are you unknowingly practicing witchcraft? Most people are beguiled by traditions, and have very little contact with the Words of Scripture. Our investigation centers on learning how witchcraft is employed in unsuspecting ways. It is known by the Greek designation: Christianity. The proof of this rebellion will awaken millions. The best place to hide it is in plain sight. This book will pull back the curtain where the wizard controls all the machinery, unveiling the witchcraft concealed in every camouflaged activity and symbol. People have been living in a fantasy of veiled witchcraft. Just as Dorothy went from Kansas into another realm ruled by a wizard and witches, the knowledge of the Truth awakens us just as the red pill allowed Neo to perceive the Matrix all around him. 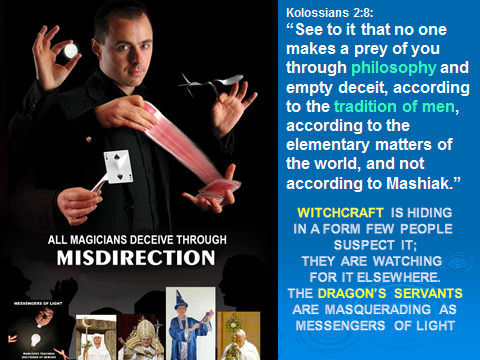 In the real world, those who teach us are wizards and witches, but in reality are masquerading as messengers of light, with titles like pastor, nun, pope, or bishop. 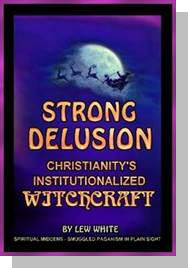 They hold men’s credentials (teaching authority) to teach error: the strong delusion. We have all been living in an artificial reality, pretending that everything we see and do has real substance. An important part of our restoration involves calling upon the Name of our Creator. Our letters U, V, and W came from the sixth letter of the ancient Hebrew alef-beth, a letter shaped: Y (yet it is not our modern letter that looks like this). 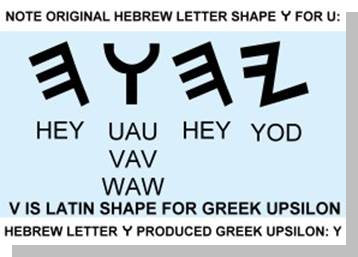 This Hebrew letter became the Greek letter UPSILON, also shaped Y. The Latin form of this letter dropped the stem, changing the shape to V, but keeping the sound “OO” as in our modern “U”. The word for "sword" in Latin letters is GLADIVS (NOTE THE U IS SHAPED AS A V). Within the last 700 years, this letter shaped “V” with the sound of the double-O, “OO” (as in "school") developed into our modern letters U and later the double-U, written as W. The “double-U” is a new letter, and not a letter known to the Hebrew language. 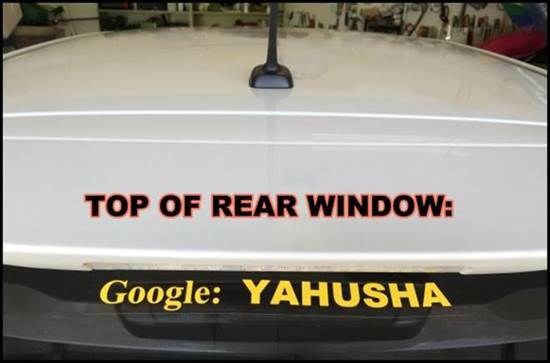 Note that in the words “YAHUDAH” and “HALLELU-YAH” we find the letter UAU also. Please verify this using online encyclopedias and other sources. The Tetragrammaton is therefore more accurately rendered as YHUH, standing for the 4 letters YOD-HAY-UAU-HAY. If preferred, it can be expressed YHVH, as long as it is understood that the "V" shape is sounded as our modern "U". You can review the text without purchasing it.